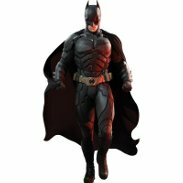 You will love our Superhero Party Supplies from all of your favorite characters. Get all of the party favors and decorations you could possibly need for dressing up and making sure everyone is enjoying themselves to the fullest extent. Deck the place to the max with these great party supplies of your favorite superheroes and you will have a blast! From great comic books to awesome movies and television shows and everything in between, we have been spoiled with a bunch of animated and acted out characters. They have been keeping us excited for decades and seem like they might continue to do that forever. With the right party supplies you can really do your justice to all of the superheroes by throwing a big birthday bash and getting everyone really into the atmosphere. There are so many great products on our site for you to shop through today so you can get your celebration underway. From awesome wall and table decorations to fun party favors that you can hand out to all of your guests, there are a ton of different ways you can make your event that much more special. 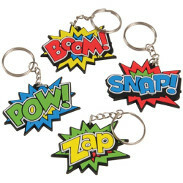 Supplies for superhero parties are some of our most popularly selling items. People love getting dressed up like their favorite characters and getting life-sized decorations that they can put all over their room for great photo opportunities. Kids and adults can all enjoy these party favors and decorations of their favorite superheroes together. We definitely have all of your party needs covered. Just pick your favorite characters and dive in to planning your next superhero party today. With one order, you can get all of the supplies you could possibly need for your celebration. No need to shop around for decorations and party favors at ten different stores when we have such a great inventory for you to check out!